Nest records are for June and July. Bull, E. L., S. R. Peterson, and J. W. Thomas. 1986. 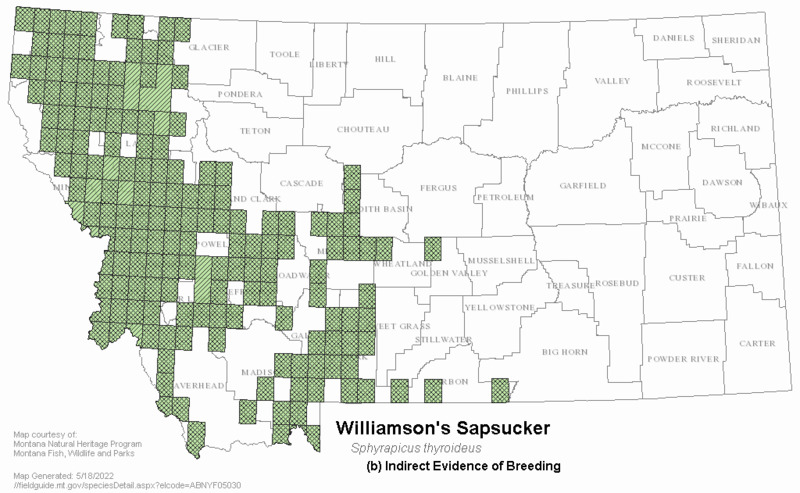 Resource partitioning among woodpeckers in northeastern Oregon. USDA Forest Service, Pacific Northwest Research Station, Portland, OR. Research Note PNW-444. 19 pp. Conway, C. J., and T. E. Martin. 1993. 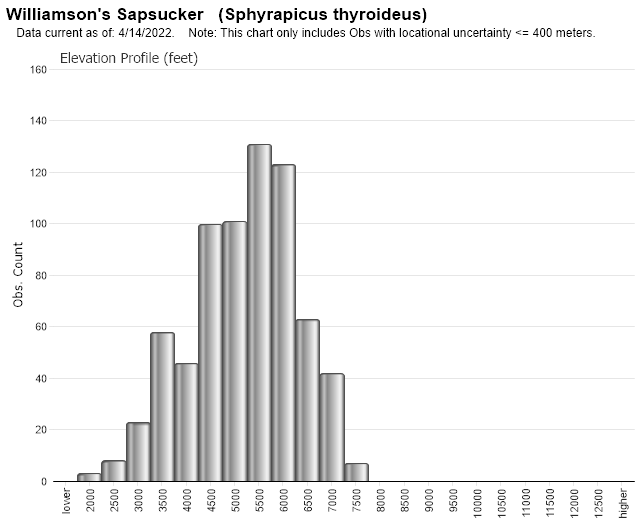 Habitat suitability for Williamson's sapsuckers in mixed-conifer forests. J. Wildl. Manage. 57:322-328. Crockett, A. B., and H. H. Hadow. 1975. Nest Site Selection by Williamson's and Red-Naped Sapsuckers. Condor 77:365-368. McClelland, B. R. 1977. Relationships between hole-nesting birds, forest snags and decay in western larch-Douglas fir forests of the northern Rocky Mountains. Ph.D. Thesis., Univ. of Montana, Missoula. 483 pp. Sousa, P.J. 1983. 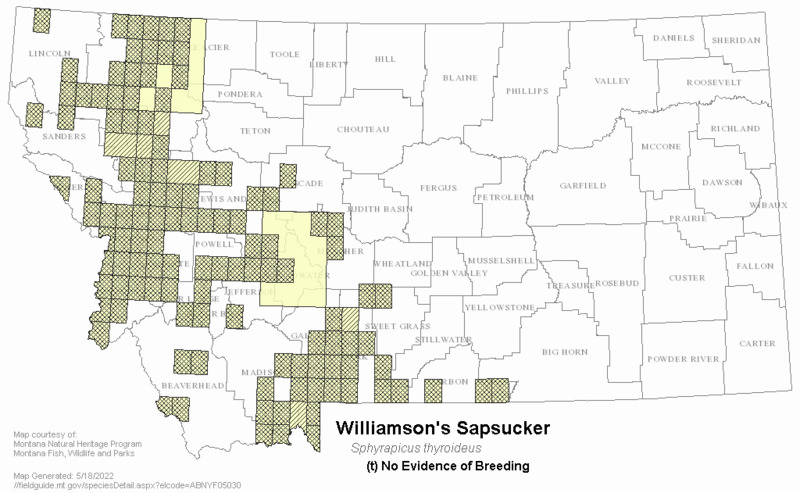 Habitat suitability index models: Williamson's sapsucker. U.S. Dept. Int., Fish Wildl. Serv. FW/OBS 82/10.47. 13 pp. Web Search Engines for Articles on "Williamson's Sapsucker"